Week-long vacations are the best to beat office blues with short & refreshing getaways. Still, wondering what to do for this long vacation starting from tomorrow? 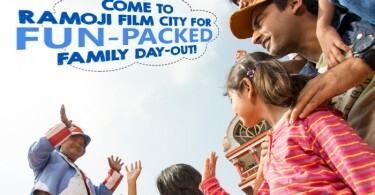 Just head on to Ramoji Film City! Itâ€™s only here, you could rejoice, re-energize & revitalize to get back to work! Freedom Fest Celebrations are on full swing!Â Unlimited fun & entertainment are high on the list & a day tour wouldnâ€™t satisfy your excitement! 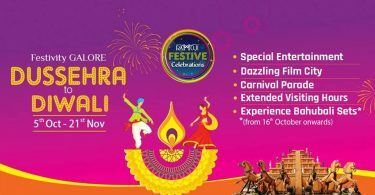 Avail great stay offers & experience the abundance of joy with Ramoji Film City Tour, Mock Film Shoots, Enthralling Live shows such as Spirit of Ramoji Show, Fort Frontier Wild West Stunt Show, Action, camera & Lights Show, Live Interaction with Magicians, Rhythmic beats of Nasik Dhol & many more! Evenings are more special as you get to see the real charm of dazzling Ramoji Film City! To enhance your experience, in the cinematic way, we take you to the cine charm with Dhee Jodi Dancers! You would be spell bound to witness the scintillating Lezim Dance too. To spice up our Joy & to dance merrily, Bahubali Fame Singers treat you with the most enticing songs of the epic grandeur Bahubali Movie! This is certainly a lifetime opportunity for you to experience the wholesome of filmy essence in The World’s Largest Ramoji Film City. Book Now & get upto 25% off on 2 nights & 3 nights stay at Sitara Luxury Hotel & Tara Comfort Hotel.